in It's fitting that Cave Creek's main drag is horseshoe-shaped, stretching from the Carefree Highway and in a loop back to the more genteel town of Carefree. Cave Creek is all about horses, Harleys and Harold's Cave Creek Corral. A Pittsburgh Steelers bar, Harold's lines up right next to the Buffalo Chip, a Green Bay bar once owned by Max McGee, the Packers star of the first Super Bowl. The Chip has Sunday morning religious services and bull-riding. Even greenhorns can try to ride the bulls. Sometimes they leave in ambulances. The Chip was destroyed by a Thanksgiving Day fire in 2015 but it was rebuilt and a new building opened about a year later. Cave Creek has Frontier Town and other kitschy Western shops. There are coffeehouses, like Janey's, with live music. Bikers rumble into the Hideaway. 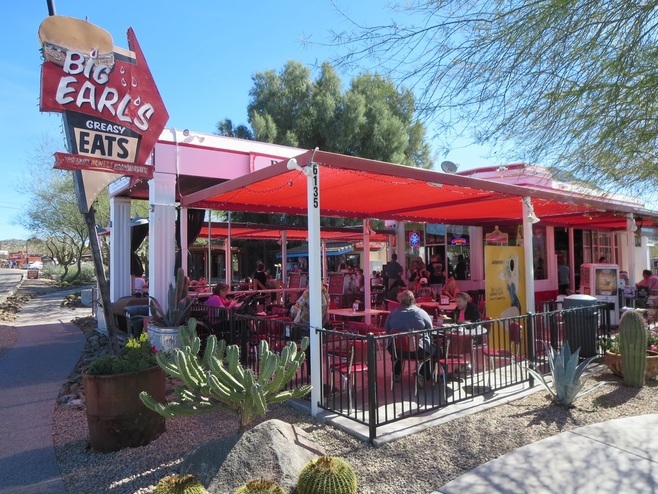 And there are enough restaurants to feed visitors who drive north from Phoenix and Scottsdale to enjoy Cave Creek's charms. We like the Grotto for breakfast and lunch. The town is unpretentious, embraces its Western roots and allows folks to let their hair down and get their boots a little dusty. El Encanto is a popular Mexican food spot. Big Earl's attracts the burgers and beers crowd and tourists are fond of the Horny Toad. ​Some folks might be surprised that Cave Creek has fine dining. That includes the Tonto Bar & Grill at Rancho Mañana. Sadly, Binkley's, one of the Valley's top restaurants, has closed. Cave Creek comes alive at night with music and dancing at Harold's Cave Creek Corral and the Chip, but don't miss out on the hiking in the daytime. 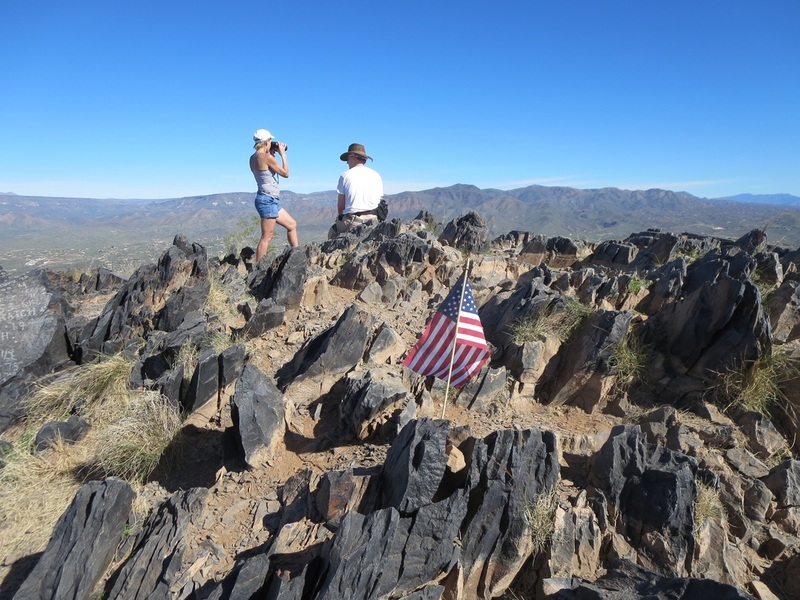 Black Mountain has a steep trail that takes a good hour to ascend and the Spur Cross Ranch Conservation Area has good hiking on flatter terrain. Hikers atop Black Mountain looking down on Cave Creek. The steep 1.2-mile trail up the mountain is off Schoolhouse Road. 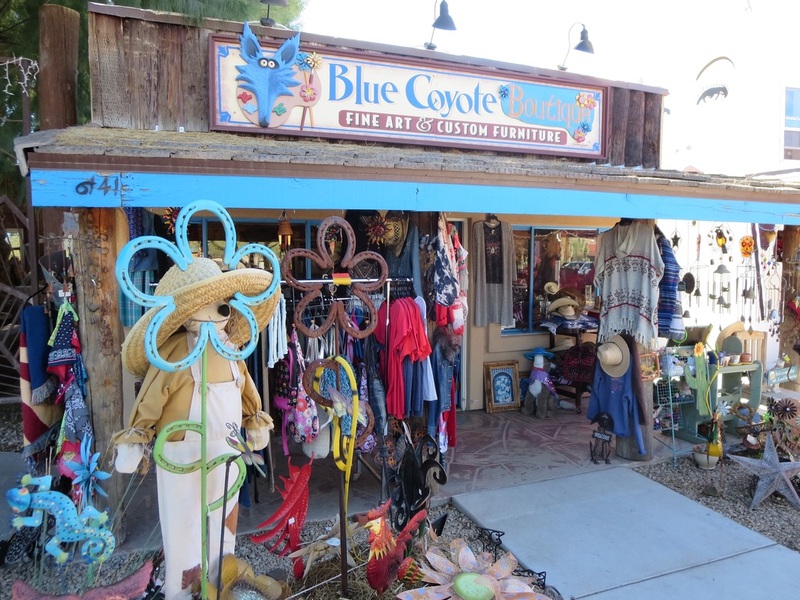 Shops along Cave Creek Road sell a variety of Western and kitschy items. 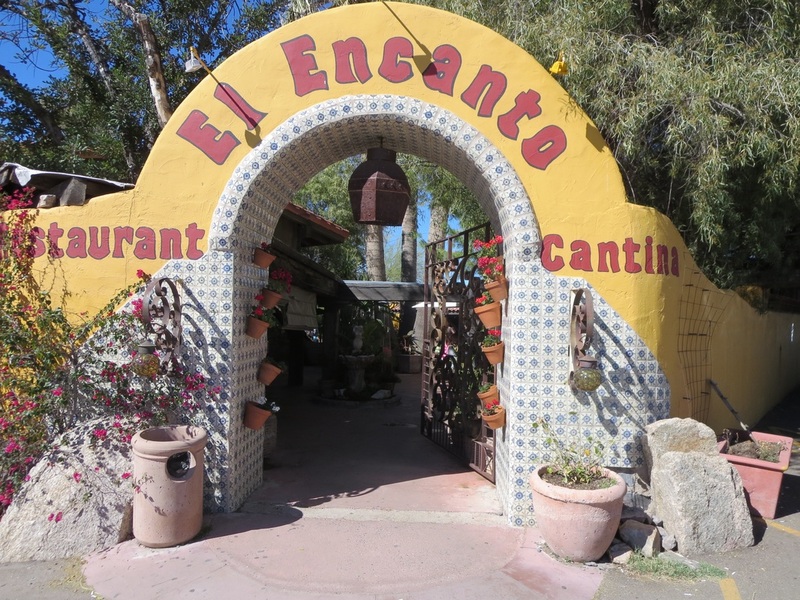 El Encanto is a Cave Creek fixture with outdoor and indoor dining. 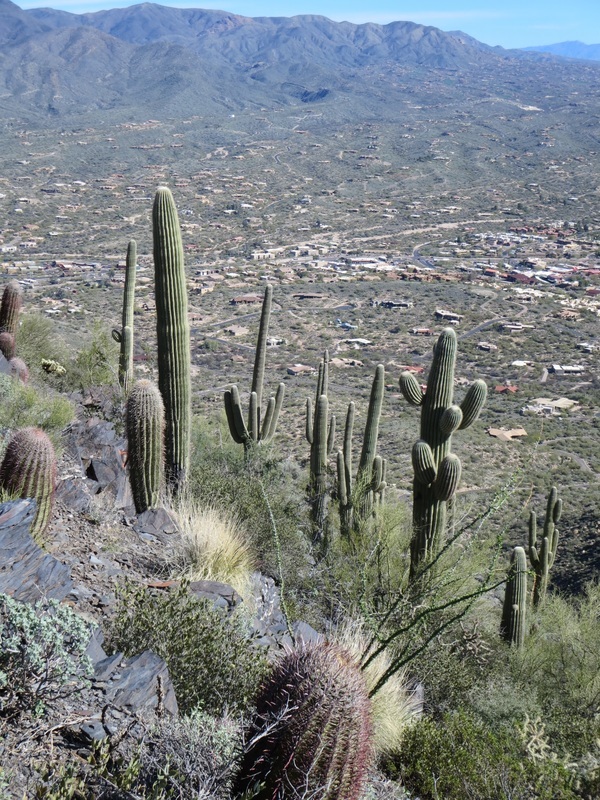 Sagauros stand tall on Black Mountain's northeast face above Cave Creek. 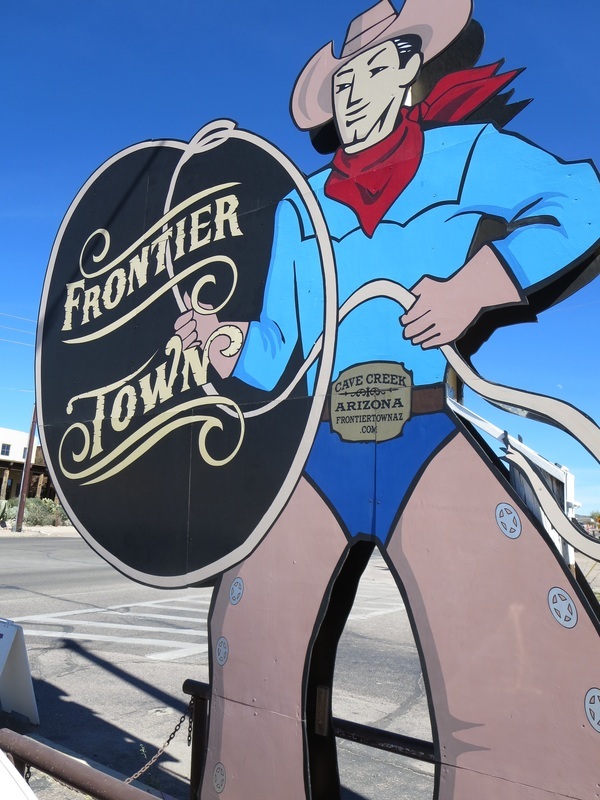 Frontier Town's cowboy stands tall outside its shops and restaurants. Big Earl's, a big spot for burgers and beers, was a Phoenix gas station before in was moved to Cave Creek.